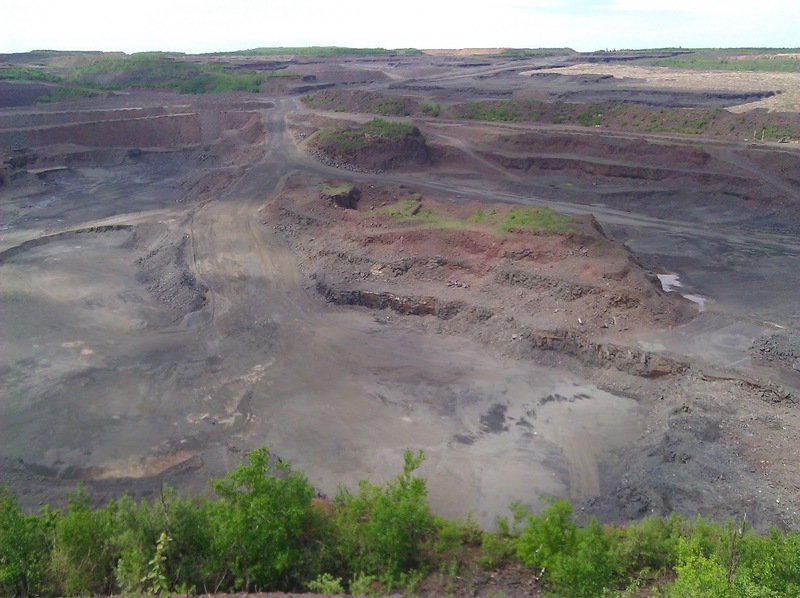 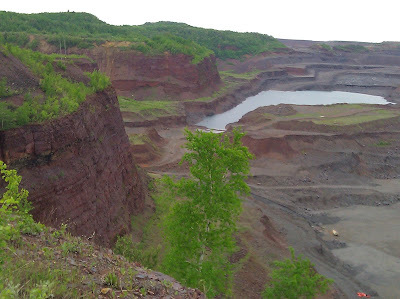 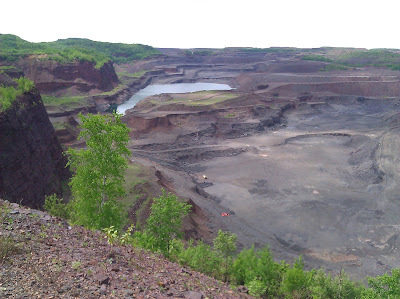 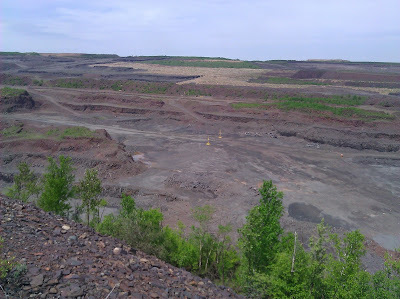 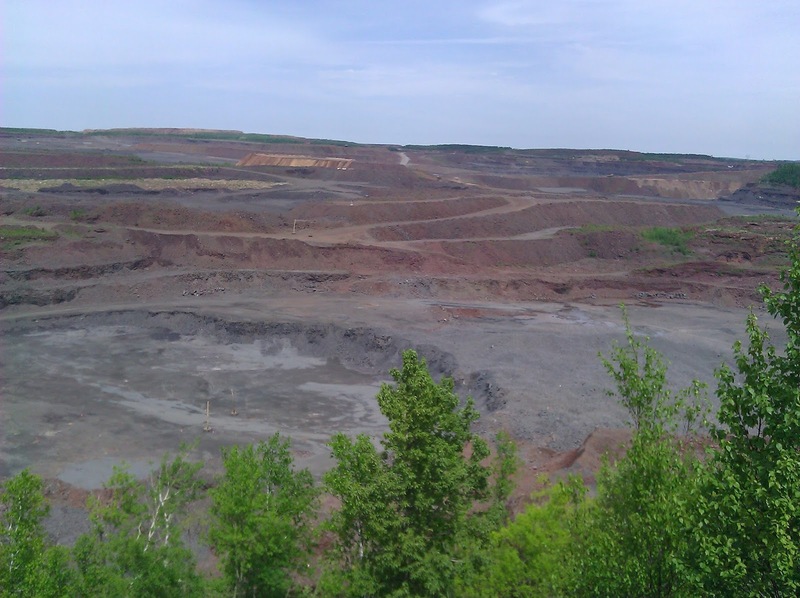 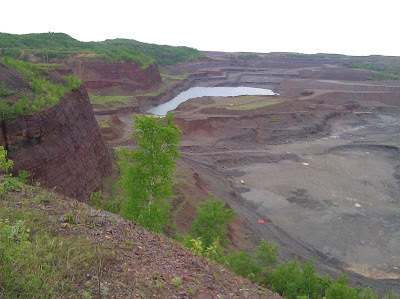 Just returned from a weekend trip where one of the stops included the world's largest open pit iron ore mine. 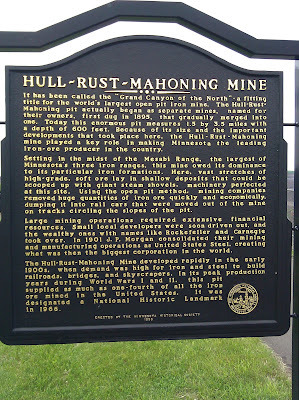 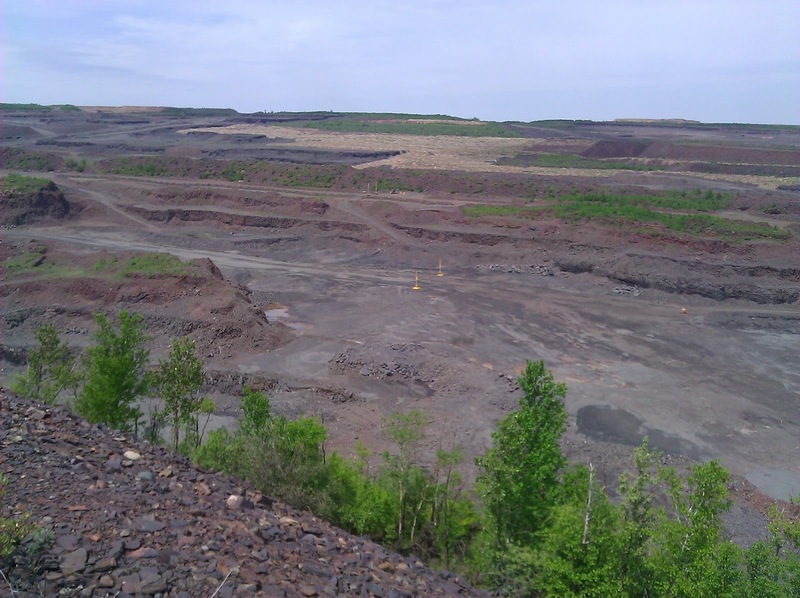 The Hull Rust Mahoning open pit mine formed through the consolidation of over 40 different smaller properties. 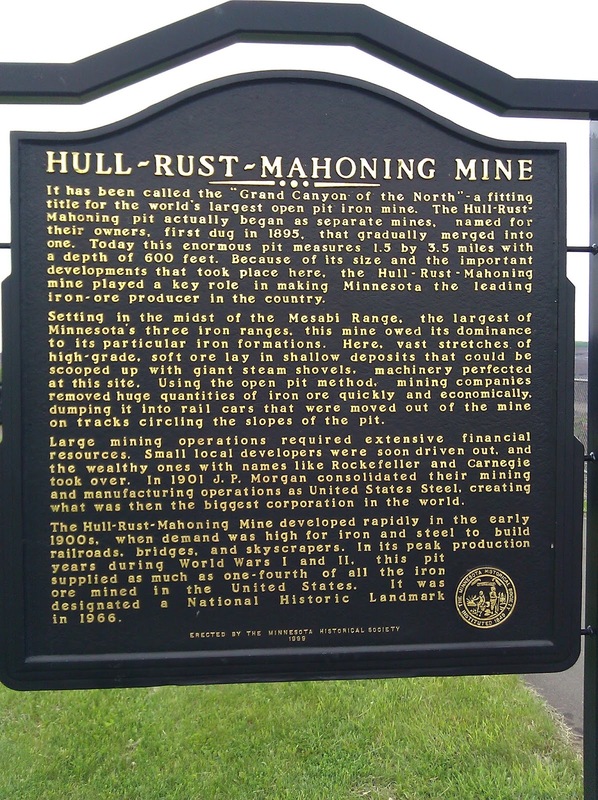 During the mine's peak production, during World War II, approximately one fourth of the iron mined in the United States came from this location. This open pit mine covers 3,075 acres, nearly 3.5 miles long by 1.5 miles wide. 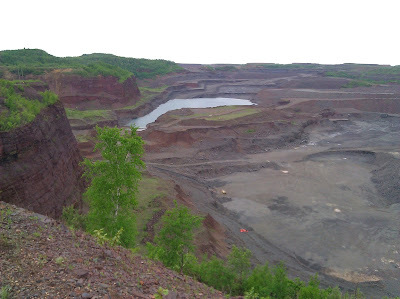 Iron ore has been mined from the area since the early 1890s, with ore being transported by rail to the Duluth-Superior ports on Lake Superior to be shipped to steel mills further east. 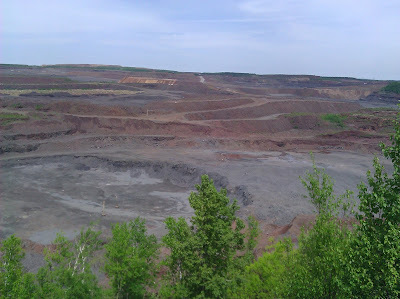 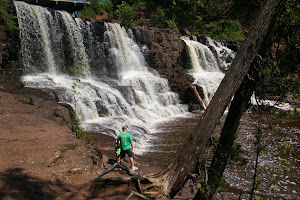 The city of Hibbing is located near the mine. 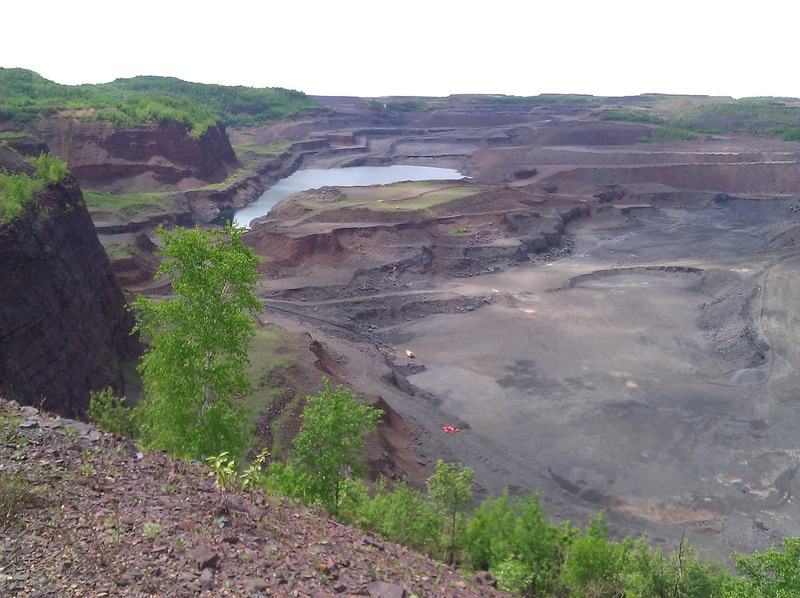 As the mine expanded during World War I, buildings in north Hibbing were placed on steel wheels and moved two miles to the south. 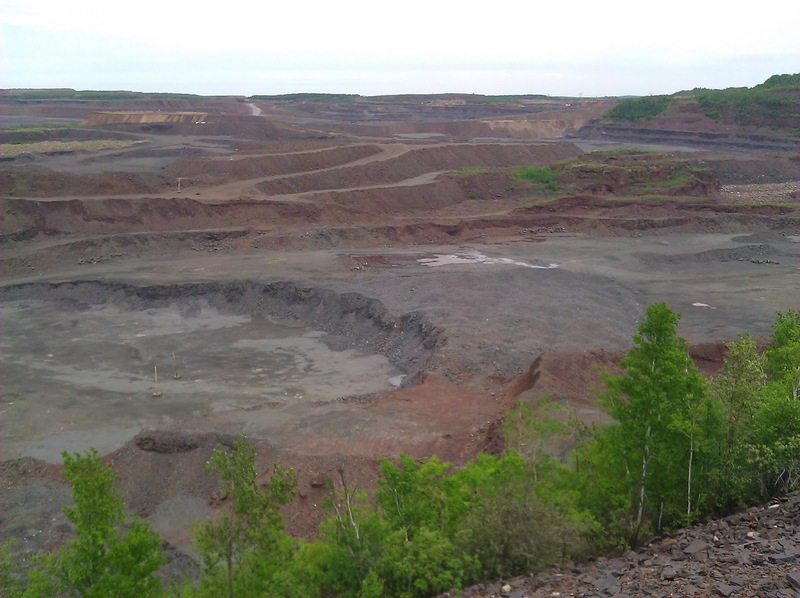 Today, you can still see the foundations of some of these buildings near the mine.